Kenya, Maasai ethical accommodation - ecotourism responsible travel / tourism. Ecotours, ecoholidays - ethicalescape! Location: Porini Camp is located in the Selenkay Conservation Area, a 15,000-acre private game reserve within a vast tract of land owned by the Kisonko clan of the Maasai people and located near the northern boundary of Amboseli National Park. The Conservation Area is an important dispersal area for wildlife moving in and out of Amboseli and holds a wide diversity of species. In addition to the better-known big game like elephant, lion, leopard, cheetah, giraffe and zebra, there are several less common species such as caracal, African wildcat, civet, gerenuk, lesser kudu and striped hyena. Our private four-wheel-drive track links the Selenkay Conservation Area to the Amboseli National Park so that we have the advantage of game drives in the park as well as in our own exclusive reserve. The Selenkay Conservation Area is 100 miles from Nairobi and a three-hour drive, mostly on tarmac down the Mombasa road. The camp operates a daily transfer by minibus from Nairobi which arrives at the camp around 1 pm. The Amboseli airstrip can also be used, with daily flights from Nairobi. Accommodation: Porini Camp consists of nine spacious tents, sited among sh ad y Acacia Tortilis trees, in a spot once favoured by big game hunters. 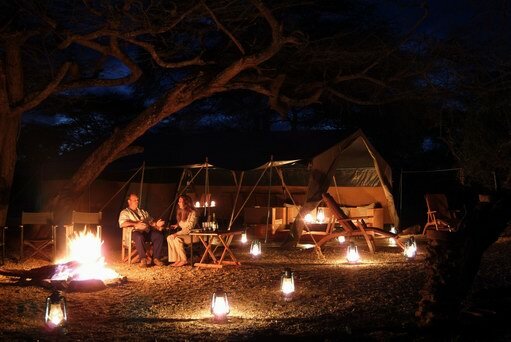 The camp is small and exclusive, accommodating a maximum of 18 guests. 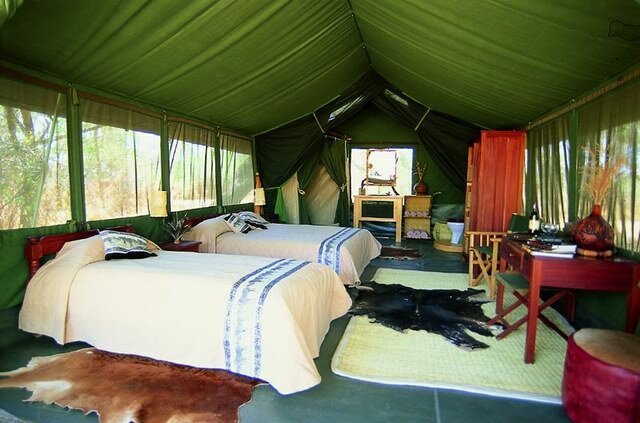 It is set up along the lines of the traditional hunting safari bush camp, so there are no permanent structures like bar or restaurant or swimming pool – this is real camping in the bush, but with much more comfortable bathroom arrangements than were available to the hunters of earlier years! The tents are large and comfortably furnished, each with a double and a single bed, solar-powered electric lights, and en suite bathroom with shower, washbasin and flush toilet. Meals are taken under the shade of an Acacia tree and after dinner we can sit around the campfire and listen to the sounds of the African night. The camp is staffed entirely by members of the local Maasai community apart from the manager and head chef. Day 1. Transfer from Nairobi by road arriving at Porini Camp for lunch. 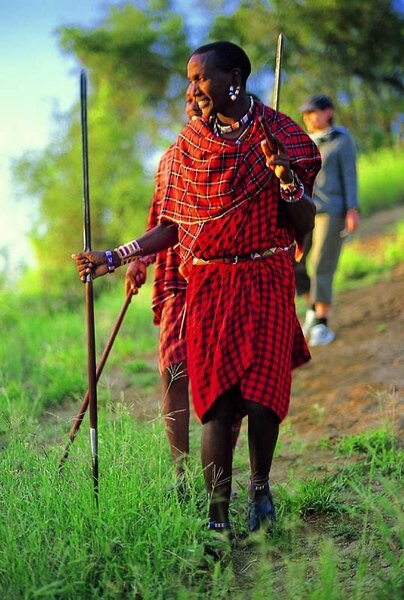 Following afternoon tea, you will be escorted on a walk by Maasai warriors to a village to get an insight into their fascinating culture and way of life. Return to camp for a shower, dinner and overnight. Day 2. Awake to the noisy calls of the birds and after an early breakfast, we drive through the bush on our private track into Amboseli National Park for a full morning with a picnic lunch in the park. Return to Porini Camp later in the afternoon. 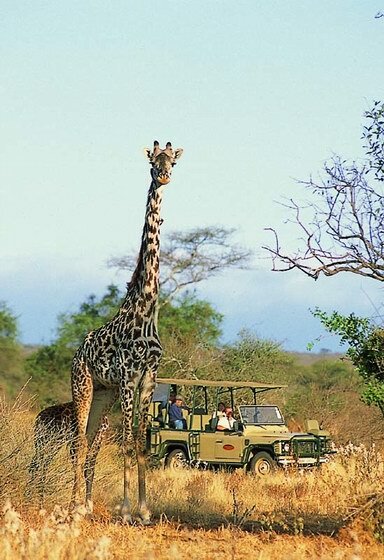 In the evening you will go on a game drive in the Conservancy ending with a sundowner at a scenic viewpoint followed by a night game drive to look for nocturnal animals such as aardvarks, serval cats, caracals, bat-eared foxes, African wild cats, and other species. Return to camp for dinner. Day 3. Early morning game drive in the Conservancy followed by breakfast and then depart for the transfer to Nairobi, arriving around 1 pm. Ecotourism: The local Maasai community has set aside the Selenkay Conservation Area as a reserve for wildlife and in return is receiving an income from tourism activities. This is used to fund community projects such as schools and water supplies. Employment opportunities have also been provided for the local Maasai people as game rangers, trackers, and camp staff. Apart from the management and Head Chef, all other staff in the camp and Conservation Area are members of the local Maasai community. The 70 kms of roads in the Conservation Area were constructed using local labour so that members of the community gained employment. As a result of the establishment of the Conservation Area, wildlife numbers have recovered significantly in recent years and elephants are now seen frequently after an absence of nearly 20 years. Selenkay Conservation Area lies in the heart of Maasailand, well off the beaten track, and has not been visited by tourists until very recently. The animals are truly wild and tend to behave more naturally than those in the parks, which are often habituated to the presence of vehicles. Spacious insect-proof tents comfortably furnished with proper beds. En suite bathrooms with showers, washbasins and flush toilets. Free mineral water, soft drinks, beer and house wine. Custom-built open-sided four-wheel-drive safari vehicles for all game drives. Morning and evening game drives in Selenkay. Escorted walk with Maasai trackers and guide. Full morning in Amboseli National Park. Free road transfers from Nairobi or from Amboseli airstrip.